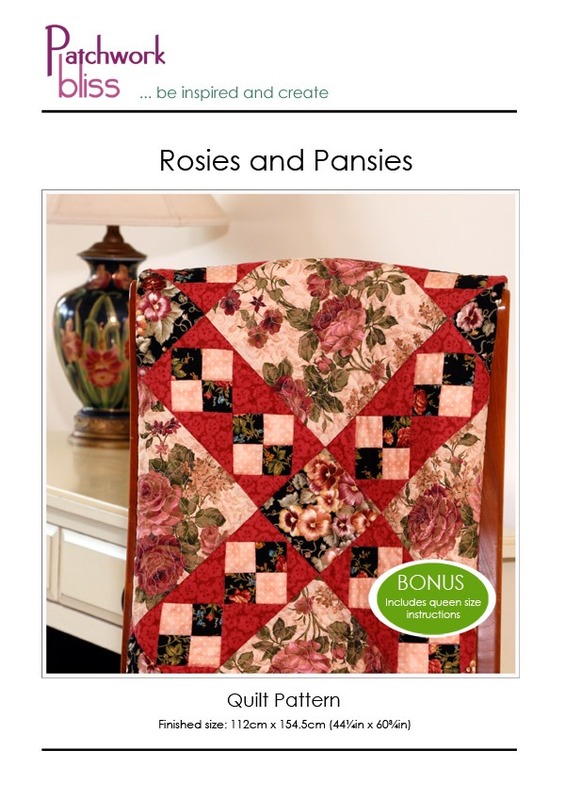 Use your rose and pansy fabrics to make this elegant quilt. Rosies and Pansies is one of our most popular patterns. Detailed instructions with diagrams to guide you.